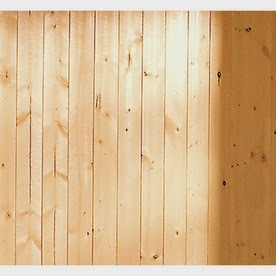 The Decorating Chica: Wood you like a wood wall? Wood you like a wood wall? After a fair amount of time looking at wood plank walls on Pinterest, I finally ventured into this world and created my own version. Evertrue pine planking from Lowe's as it looks when purchased. It was a bit time consuming but super easy. I started by purchasing the packs of Evertrue pine planking which are very reasonably priced. 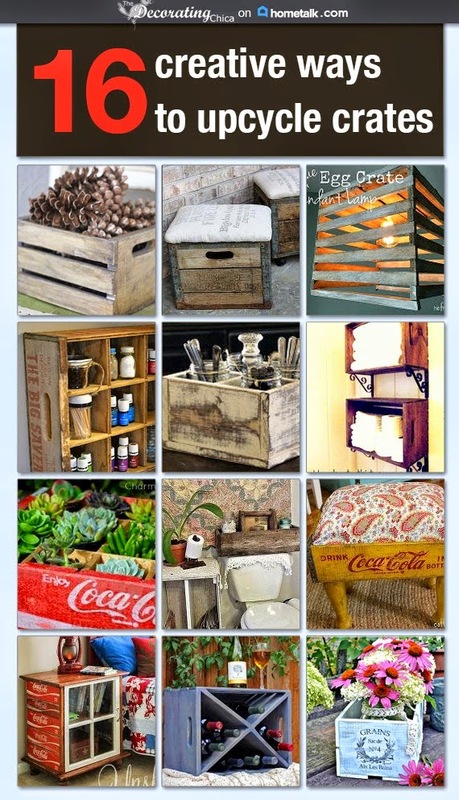 Yes what I really wanted was old barn wood but just couldn't find it. I purchased 7 packs so just around $75.00 for this wall and a bonus wall in my upstairs hallway...well almost! water to dilute the paint and brushed it on the planks. As soon as I brushed it on, I grabbed a rag and wiped it back. It really acted just like a stain without the odor and without any cost. Plus I was using up leftovers! First two rows, ready to rock it! With my nifty new pneumatic (try saying that 3 times fast!) nailer I got to work starting from the floor up. Personally saw advantages starting from ceiling down that would allow a full row but I did not want to have to use baseboard at the floor level if I was left with a weird gap. Look closely at the very top, you will see my lovely gap. So my weird gap was at the top. But we grabbed some trim, cut and added it along the top and it finished it off just perfectly! Added a coat of black ochre tinted chalk paint wax that really helped to blend the pieces together and age it. Added bonus, I (almost) had enough to do the same treatment in the upstairs hallway. We have a long, narrow hallway that is very dark. Although I am short a couple pieces that will have to finish later, it really makes that wall pop out as a focal point! I simply used up extra pieces and patched it together. Really adds a lot of feature to this hallway and helps to get rid of yet more of the 70s textured walls! Thanks for stopping by. I hope you like my latest project at The Decorating Chica. I loooove that wall. It turned out to be pretty darn good also using up that extra paint.. I colors are just perfect. Also I became your newest follower! Wow...you got a lot of bang for your buck! The walls looks great. I'm from Michigan too so I hear you about stain fumes. It really shortens our season for stinky projects lol! Thank you for sharing at What We Accomplished Wednesdays. Have a great weekend! I love it! we are going to do shiplap in our house and will steal your idea for the hallway, the blue wall in the basement is lovely, what color/company did you use?